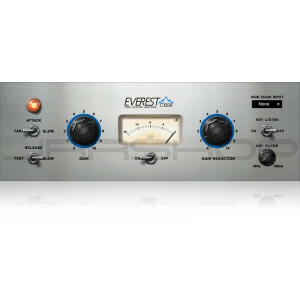 Expand the processing capabilities of any PreSonus® StudioLive® Series III console or Series III rack mixer, as well as Studio One®, with the Everest C100A Compressor. Based on a classic design focused on gentle, natural-sounding gain reduction, the Everest C100A helps control dynamics while still letting the signal breathe. Included in the Modern Classics Bundle.